Shelly the sheep requested to make a guest post on my blog today. We bickered back and forth about it for awhile. That is, we bickered until she told me WHY she wanted to post. She kept saying she had something important to say... something very important to share with my readers. I kept responding with, "What are you gonna do, try to sell ping pong tables on my blog? Who's gonna listen to a sheep anyway?" 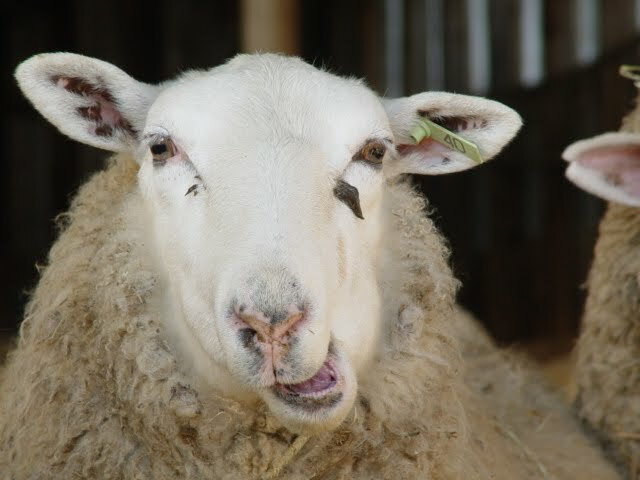 Seriously, it's just a lot of blah, baaaaaaa, blah, baaaaaaah, and baaaaack and forth when you're arguing with a sheep. I want to remind everyone that tomorrow is the 2nd year anniversary of Camera-Critters! Well heck, Shelly, why didn't you just say that. We could have save a lot of time arguing and spent more time decided what critters to post! Geesh, sheep! I must post a special friend's dog, in honor of it! Thanks for the fun and lovely Critters always! PS...again..will not have time tomorrow to link to your list...sorry to be such a pain. I have posted my CC for already...Be well and Happy Easter! Congratulations to your 2 years. Love Shelley the sheep. Appropriate as its Easter.